Note: Entries closed at 23:59GMT on Monday, 29 October 2012. Which Unsung Hero in Wales deserves recognition? Amid the stunning year of sport so far, the BBC has launched the BBC Sports Personality Unsung Hero Award, to celebrate people working behind the scenes to make sport accessible to all. The spirit of volunteering has been seen across the UK throughout 2012, with the Olympic and Paralympic Games bringing thousands of volunteer 'Games Makers' to the fore, while also highlighting the fantastic work done by other people around the country who generously give their time and effort. And BBC Cymru Wales is once again looking for some very special people working in sport. Do you know someone who goes that extra mile and helps others take part in sport within your community? If so, why not nominate them for a BBC's Sports Unsung Hero award in Wales? 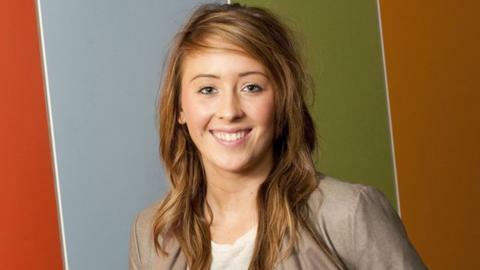 Olympic gold medallist Jade Jones has launched this year's search, paying tribute to grandfather Martin for being her unsung hero. "He's the one who got me into taekwondo as I was a bit mischievous when I was eight, so he got me into the sport just to keep me doing something to keep me occupied," said the 19-year-old from Flint. "He took me every day to training and even some days when I didn't want to do it he persuaded me to go, as sometimes you just need that little tiny push. "He'd come home from work and he'd drive me for hours to the best training sessions all over the country for competitions. The BBC's Unsung Hero awards have run annually since 2003. They recognise special people who dedicate their lives to promoting sport in their community, taking no reward from it other than the pleasure of helping others to participate and enjoy their sport. The Wales Unsung Hero winner will be chosen by an expert panel and announced in early December. He or she will then compete against the winners from all 12 BBC English Regions plus Scotland and Northern Ireland for the overall winner who will be announced on the BBC's Sports Personality of the Year programme in December, live on BBC ONE. The winner of the BBC Cymru Wales Unsung Hero Award 2011 was Gareth Wyn Hughes, a golf coach from Tylerstown, Rhondda Cynon Taf. He was recognised for developing Rhondda Golf Academy into a thriving community, offering golf opportunities to boys and girls up to the age of 18 and encouraging a number of primary and secondary schools participate in coaching sessions on a weekly basis. We want to know about someone who, on a voluntary basis, makes a real difference to sport within their area. They'll give their time and talents to enable others to participate in sport. This may be in helping an individual, team or teams, or perhaps be the driving force behind a sports club. This sport can be at any level. However they must be someone who gains no financial reward for their time, and must be 16 year of age or over. How are the awards run? Following nominations from members of the public using the attached nomination form, judging panels decide each of the 15 winners. In each case they are made up of leading figures from the sporting world, a former winner of the Sports Unsung Hero award and representatives from BBC's sport staff and BBC staff locally. All 15 nations and regions BBC winners are then invited to this year's BBC Sports Personality of the Year show where an overall winner will be announced. 2008 - Cliff Williams. Recognised for running two senior men's teams, a women's side, as well as supervising more than a 100 mini and junior players at Pontyclun RFC. 2009 - Arthur Jones. Secretary of Carmarthenshire junior, senior and mini football leagues and has been involved in football in Carmarthenshire as a player, manager and club secretary for almost 60 years. 2010 - Lisa Jones, Junior football coach from Penydarren Boys & Girls Football Club in Merthyr Tydfil. "A true inspiration to all who know her, children love her, she never puts herself first and is always thinking of others," said her nominee for the award. Entries closed at 23:59GMT on Monday, 29 October 2012.